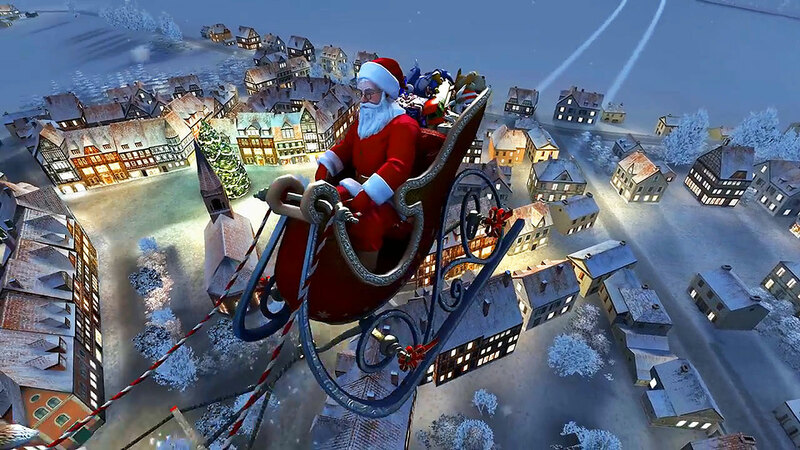 ﻿ Santa Claus 3D Screensaver – Bring Christmas spirit to your Windows desktop! Winter is a time of magic and holidays. It is a time when everything is covered with white snow and lit with Christmas lights. Everyone, especially kids, is excited and ready to celebrate the holidays and spend some time with their families. Christmas trees, wreaths, warm cookies and presents fill everyone’s heart with joy. Is your home ready for the holidays? We are sure it is beautifully decorated with Christmas theme décor and cheerful music might be playing in the background. 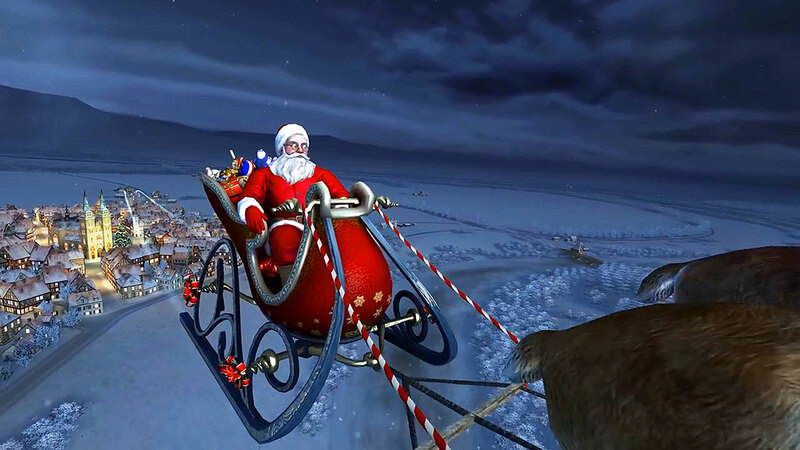 Bring Christmas spirit to your desktop as well with a 3D Santa Claus screensaver because everyone will tell you that Santa Claus and holidays are inseparable. With this screensaver for Windows 10, you will go on a sleigh ride with Santa and his faithful reindeers over snow covered houses, villages, cities, forests and fields. You will see homes filled with light, warmth and love and will wish that you could visit one of them. The starry night sky and falling snowflakes add more magic to the whole scene. 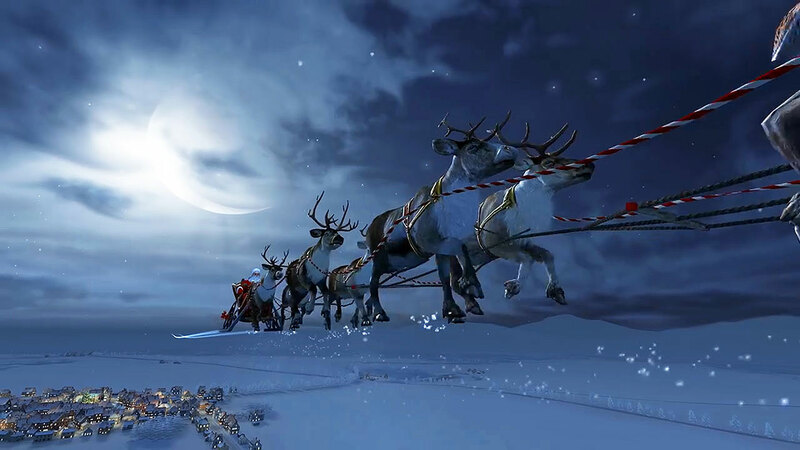 Santa’s sleigh leaves a white track behind it and is full of Christmas presents for everyone who is a kid at heart. Besides, who does not love presents? The Santa is looking around from time to time to see who deserves a special gift. A cheerful, Christmas themed music is accompanying each scene, making it even more enchanting. This realistically animated screensaver will not leave anyone indifferent and will bring more happiness to your daily routine. If you love to decorate your screen with animated scenes and associate Santa Clause with his sleigh and snow-covered world with Christmas, then get this Santa screensaver on your screen for this holiday season without thinking and you will never regret it!